This past Saturday was Tyler Hill’s first of two Rookie Days for summer 2010! 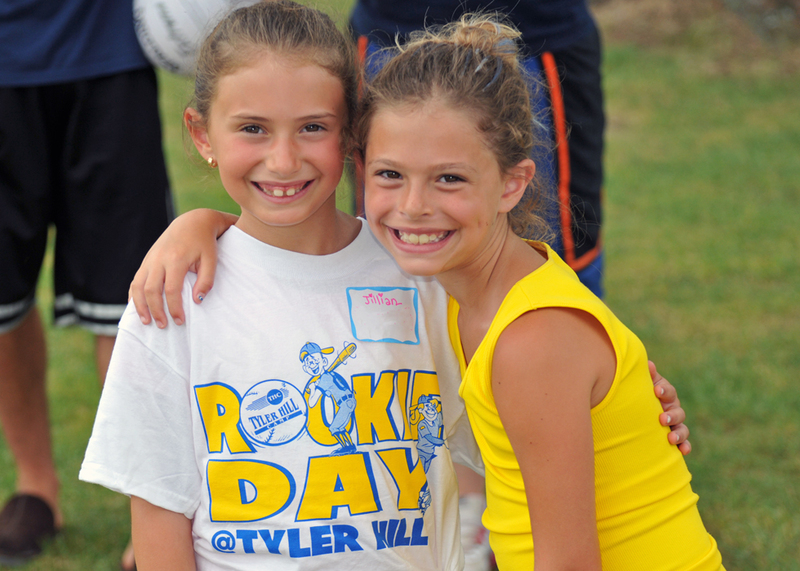 Rookie Day is a day when potential campers (“Rookies”) and their parents come to Tyler Hill while camp is in session to experience what we’re all about. It’s kind of like a test drive for next summer – a way for parents & campers to get to know us better, while taking part in lots of awesome camp activities! After spending just 1 day with us, many of our Rookie Day families enroll for the following summer as official THC campers. Our first Rookie Day took place this past Saturday, with our Rookies spending three periods in the morning doing activities with campers their own age. They did everything from boating, swimming, gymnastics, climbing wall, jewerly making, tie dye, pillow making and ceramics. After enjoying lunch & snack, Rookies got a special hayride tour all around Tyler Hill! So now, when they arrive off the buses next summer, they’ll know exactly where everything is! While the Rookies were having fun with their new friends, Andy and Wendy met with parents and shared the THC philosophy and some important “insider information” about Tyler Hill. Following was a parent tour of our facilities – everything from the bunks, pool, lakes, courts, sports fields, rock-climbing wall and golf course, to our stables, campfire sites, movie theatre, social hall and canteen… the whole nine yards! After having an awesome time, Rookies & their parents were reunited to recount all the fun experiences from the day, and soon after they headed home, counting down the days until the buses roll in to THC next summer! Tyler Hill Camp is the place to be, and having a taste of what a summer could be like during Rookie Day is the best way to find out! Interested in joining us for our 2nd Rookie Day or taking a tour of camp? It’s not too late to register or to schedule a tour – but hurry, space is limited! Contact our owner/director Wendy at (570) 224-4131 for more information.